Manchester City boss Pep Guardiola has drawn up a summer shopping list consisting of Declan Rice, Aaron Wan-Bissaka and Ben Chilwell, as the Spaniard sets his sights on a £150m raid of the Premier League for the English stars. With money seemingly no obstacle for the cash rich club, the Citizens are now eager to buy up home-grown talent before prices are hiked up even further, in what is an increasingly inflated market. As reported by ​The Sun, West Ham's Declan Rice has been touted as a potential long term replacement for Fernandinho, and has impressed with a string of impressive ​Premier League performances this term. The 20-year-old's value is estimated by the report at as much as £70m. City are already well too aware of Wan-Bissaka's ability, having put in a fine performance during Crystal Palace's shock win at the Etihad in December, while Leicester's Chilwell has began to earn recognition from Gareth Southgate in the England set up, earning five caps. Combined the full back duo could be worth in the region of £40m each. 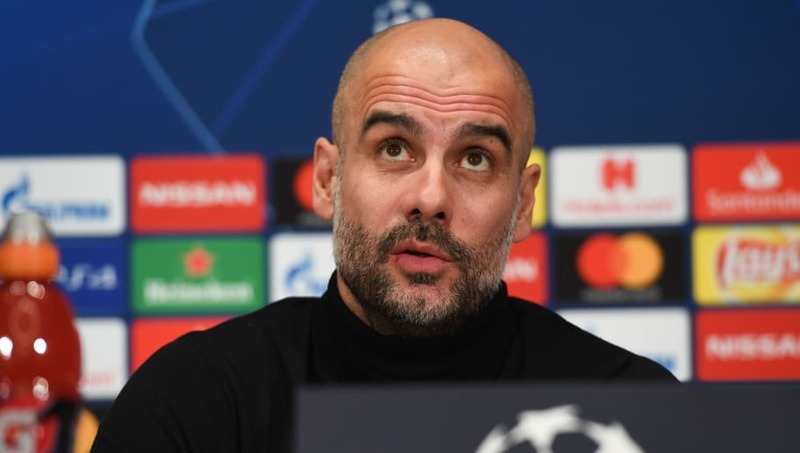 To accommodate the arrival of three stars would mean some potential outgoings for Guardiola's men, however, who is set for the exit door is yet to be known. An Etihad source spoke to The Sun about the Manchester club's transfer window game plan, insisting the club are planning on being wise in their future investments. “The club are looking to land more British players in the summer if they can manage to," the source is quoted as saying. “We all know as soon as a big side comes calling the prices get hiked up but we are only going to invest wisely. Scouts have been out all season looking for the top talents and these are the three players that have come back the most. Wan-Bissaka has also been linked to Germany recently, ​with Bayern Munich supposedly weighing up a £40m summer bid for the 21-year-old right back.